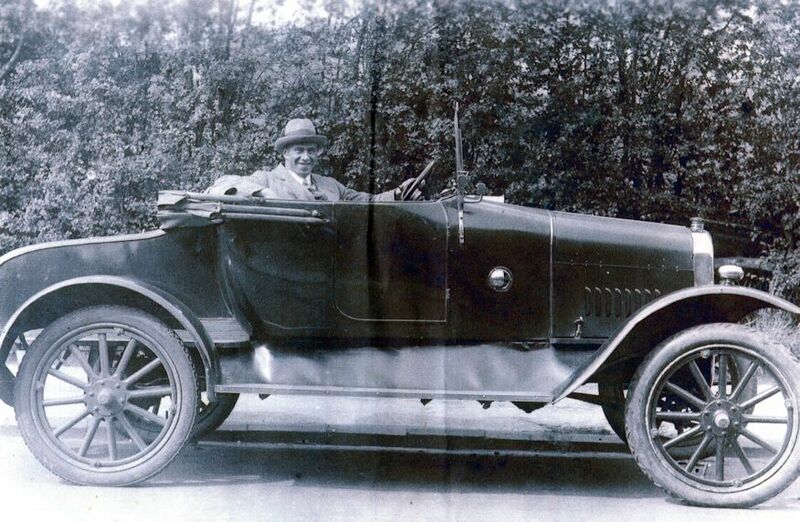 William Levi Cornock born in Tytherington in 1894, was the son of farmer William Pullen Cornock and Frances Ellen Drew. 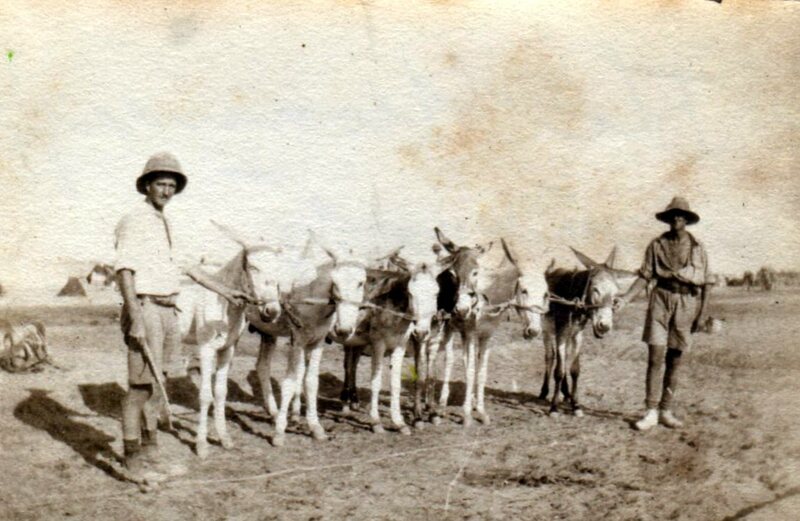 The Census of 1911 shows William working on his father's farm along with his two elder brothers Seymour and Thomas and sister Elizabeth. 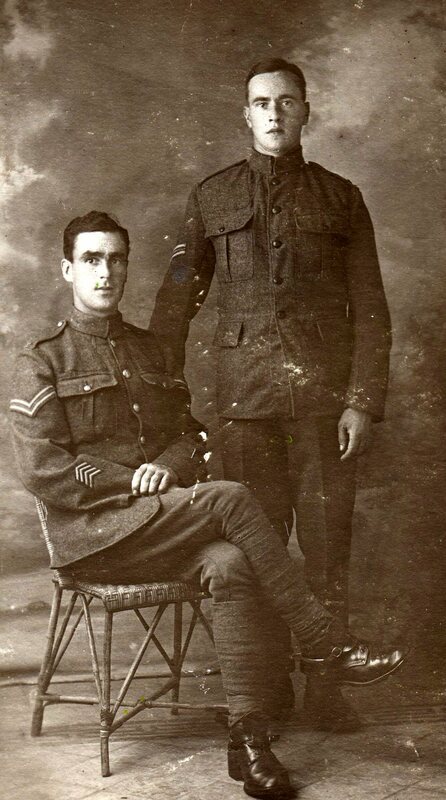 William joined up for the 1st 1 Royal Gloucestershire Hussars on 29th August 1914, signing the form 'William Cornick', living in central Birmingham, occupation 'Tube Drawer'. On 20th April 1915 he first entered the 'Theatre of War' at Alexandria in Egypt. 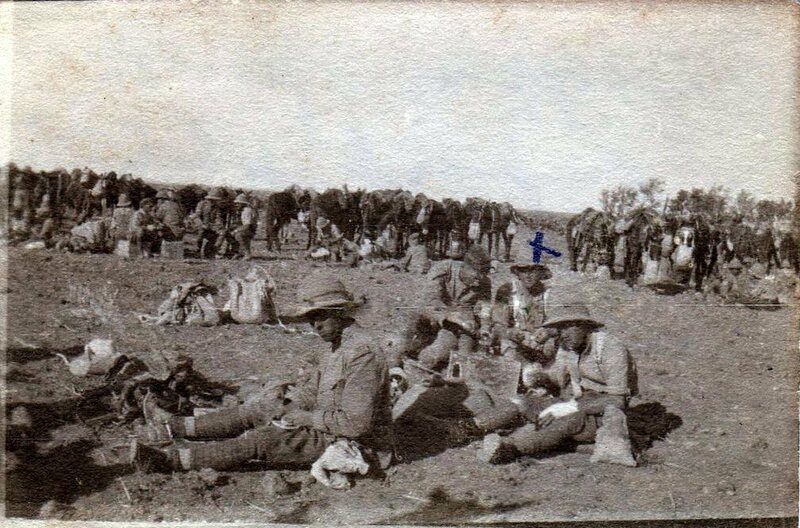 In August 1915 they were moved to Gallipoli (in what is now Turkey) dismounted (ie they were without their horses and had to fight on foot) landing at Suvla Bay. 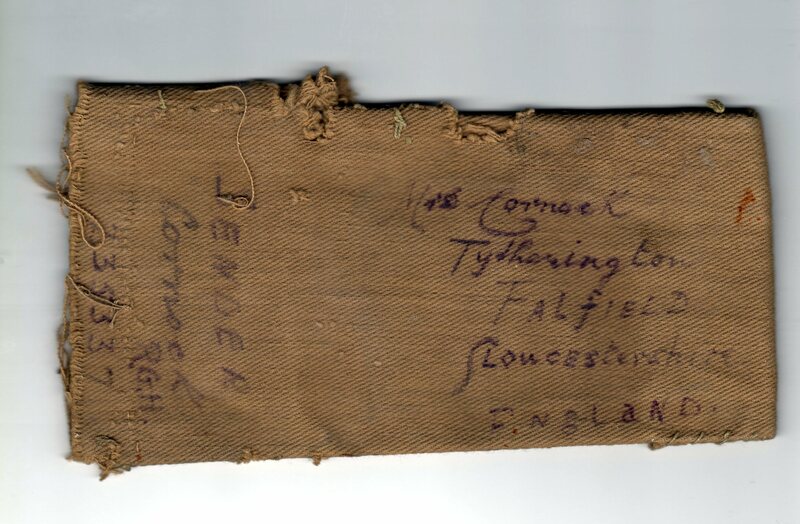 On 21st August Private William Cornock took part in the attack on Chocolate Hill and Hill 112. 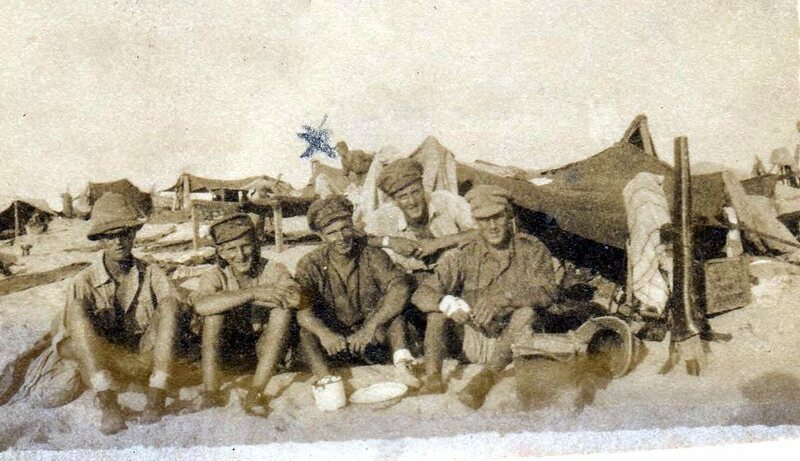 Early in September 1915 severe sickness together with battle casualties resulted in temporary reorganisation and the Royal Gloucester Hussars amalgamated with 1/1st Warwickshire and 1/1st Worcestershire Yeomanry other Regiments to form the 1st South Midland Regiment, 1st Composite Mounted Brigade. 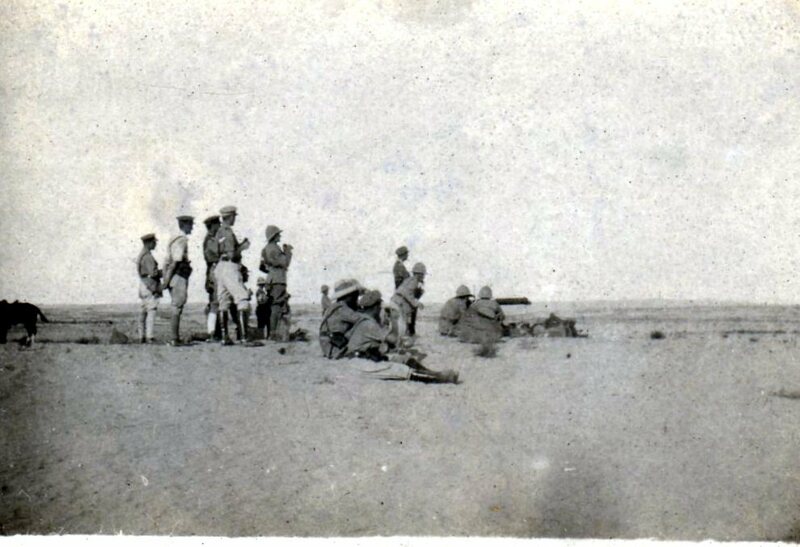 They continued in trench warfare activities in Green Hill and Chocolate Hill sectors until evacuated to Mudros on 31st October with a strength of only 81 men of all ranks. 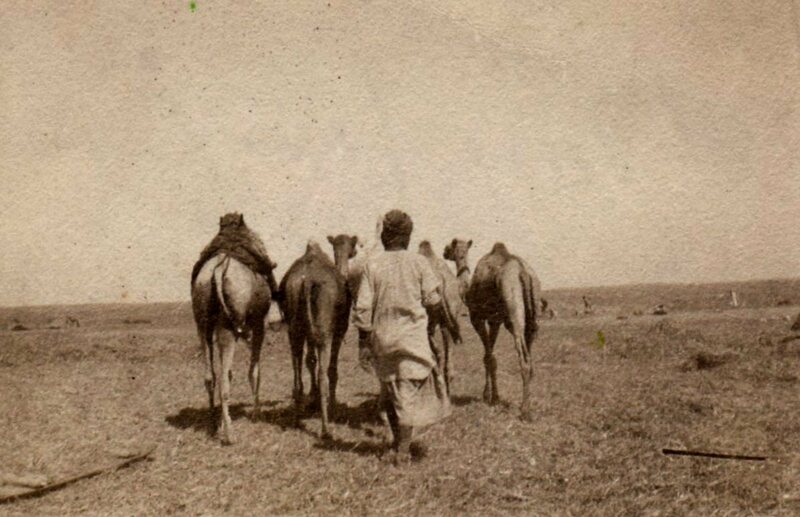 In December 1915 they withdrew from Gallipoli and returned to Egypt. 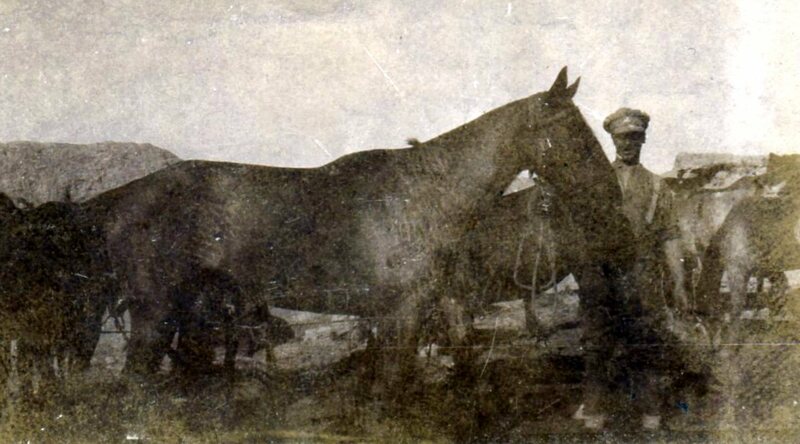 In January1916 the Brigade became an independent command and was retitled as 5th Mounted Brigade, later the Imperial Mounted Division, and later again 13th Cavalry Brigade and then 5th Cavalry Division. 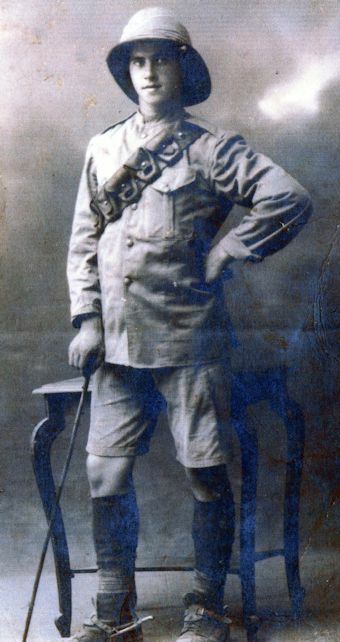 William would have fought dismounted and mounted in Gallipoli, Palestine and Egypt. He left the army and returned home in April 1919 and was awarded three medals, the British, Victory, and 1914-15 Star. Only 20% of the Hussars survived the war. 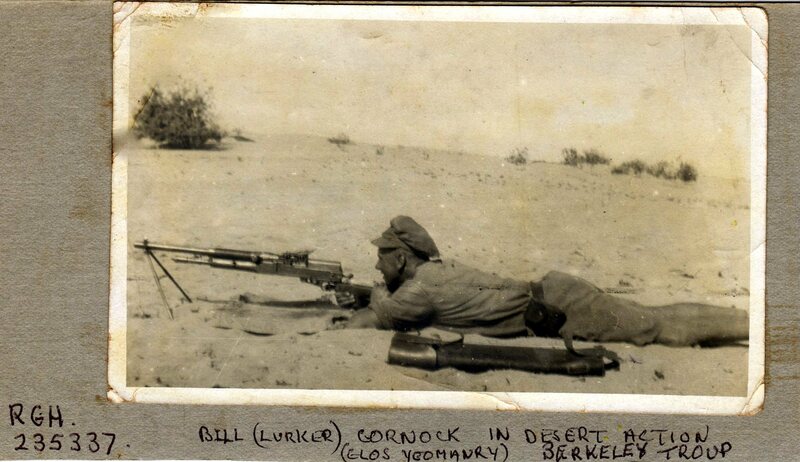 Bill 'Lurker' Cornock, as he was known, was one of the lucky ones. At some time during the 1970's William's medals were lost. Amazingly in 2016 one of his great nephews, Richard Cornock, discovered the British Medal awarded to William for sale on an auction website. Having bought the medal for £40 after a 'nail biting' wait Richard said it had been emotional seeing it return to the house where his great uncle grew up. 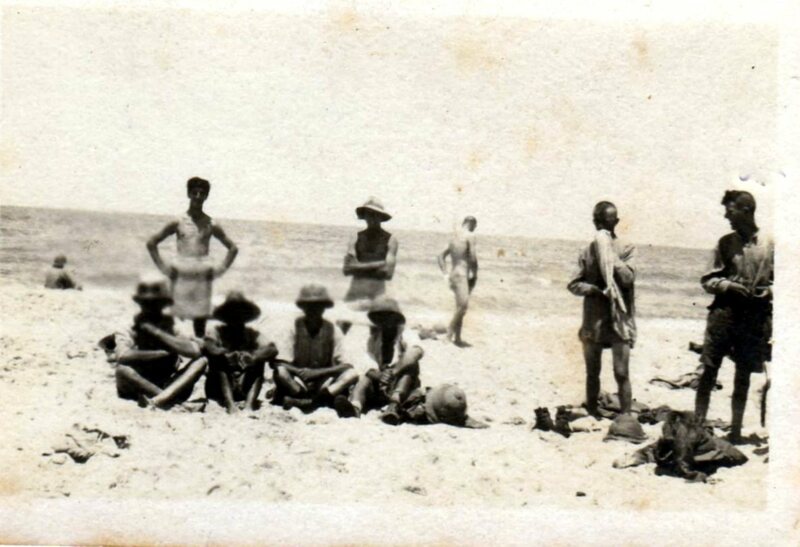 The pictures below are photographs sent back by William during the war and some have the comments he wrote in pencil on the back of each photo. William married Ethel Thompson in June 1921 in Birmingham. He died in June 1969 at the age of 74. 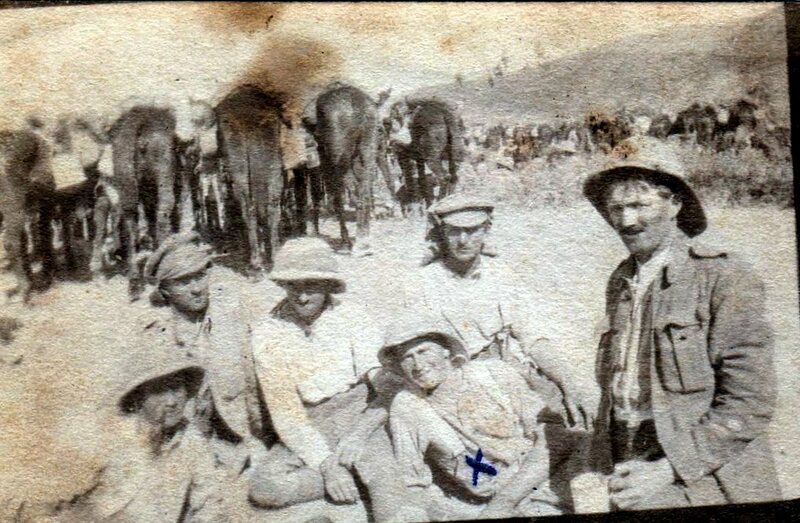 Pte Bill 'Lurker' Cornock in desert action "A snap taken with my horse" "Stopping for a repast while on ---- . 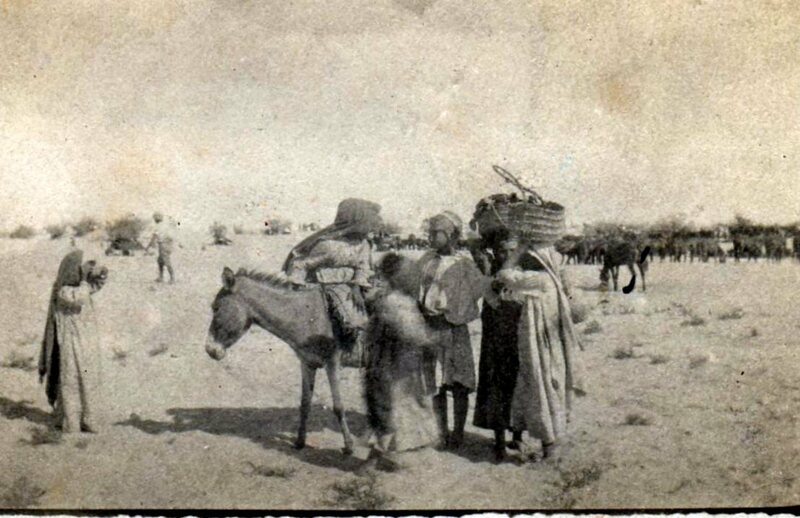 Our horses would not eat their corn at this particular place as they had no water for 70 hours". "The charge by our own Brigade last November during the Big Palestine Push. Dead horses in abundance may be seen in the background. 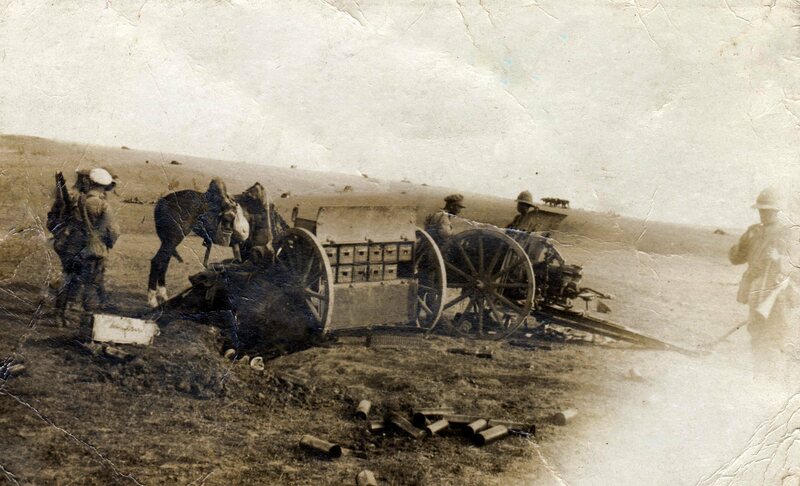 Many enemy guns were taken". "The Vickers Gun in action at a contest. Hotchkiss v Vickers. The Hotchkiss won easily. Capt Herbert killed the other day". "You will probably recognise all of these!" 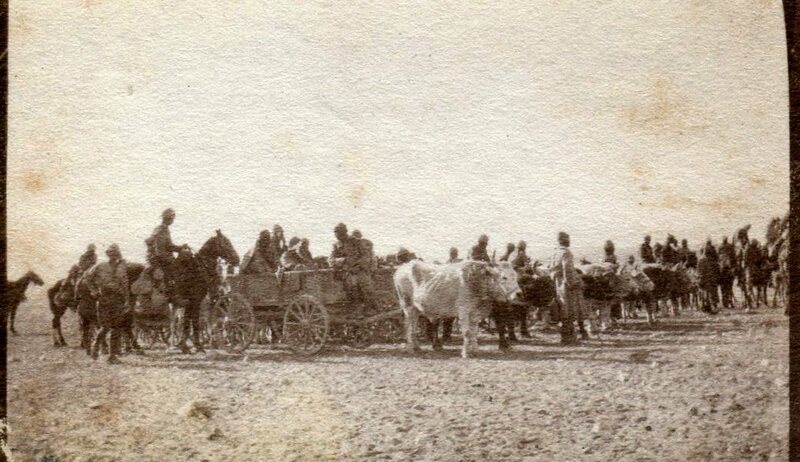 Turkish wagons taken A few of the boys bathing "The Yeomanry remounts!" 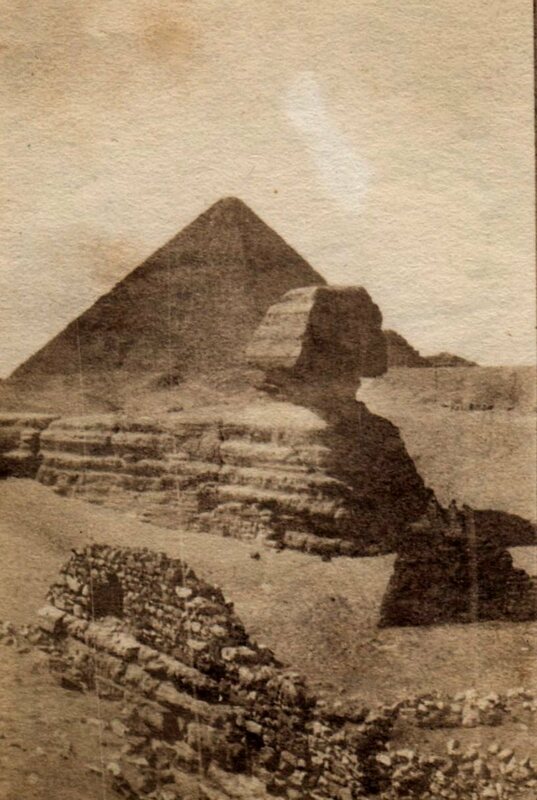 "A very familiar sight in Egypt"